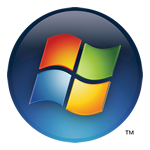 Our Windows hosting plans are ideal for Business users and Personal users alike, they offer secure and fast hosting solutions. Our Windows Hosting platform has been built for ASP.NET and customers wanting to install ASP.NET applications, and use MSSQL database driven applications. We currently have a 100% record on all our hosting plans and can guarantee a 99.9% uptime for each package.